Preheat the oven to 400 degrees F. Lightly oil two baking sheets. 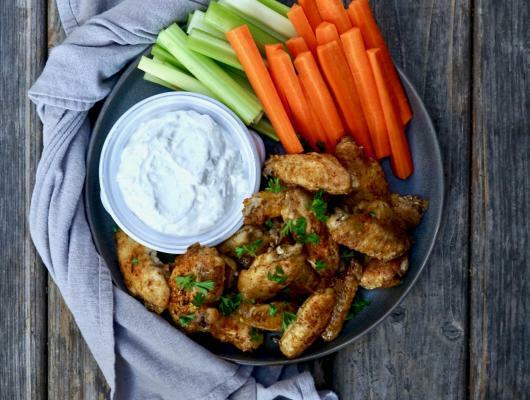 Divide the dried chicken wings onto the prepared baking sheets, toss with the vegetable oil. Set aside. In a small bowl add the salt, pepper, brown sugar, chili powder paprika, cumin, dried mustard, garlic powder, onion powder, cayenne pepper and oregano and mix to blend. Sprinkle the spice rub over both trays of chicken. Using your hands, rub the spice mixture all over the chicken wings making sure to coat both sides. Spread the wings out evenly in one layer. Place in the oven and bake, rotating once, until crispy and beginning to turn gold brown, about 45 minutes. Serve with blue cheese dip. In a small mixing bowl, use a masher (or fork) to mash the blue cheese. Add the yogurt, mayonnaise, sour cream, lemon juice, vinegar and garlic powder and mix well to blend. 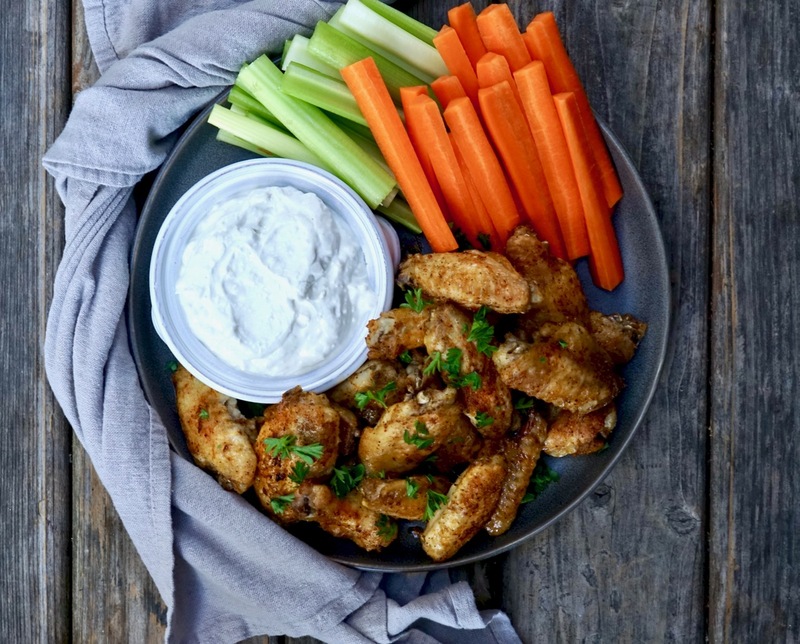 The Super Bowl countdown begins: Baked chicken wings with homemade blue cheese dip is something nobody can resist on game day.